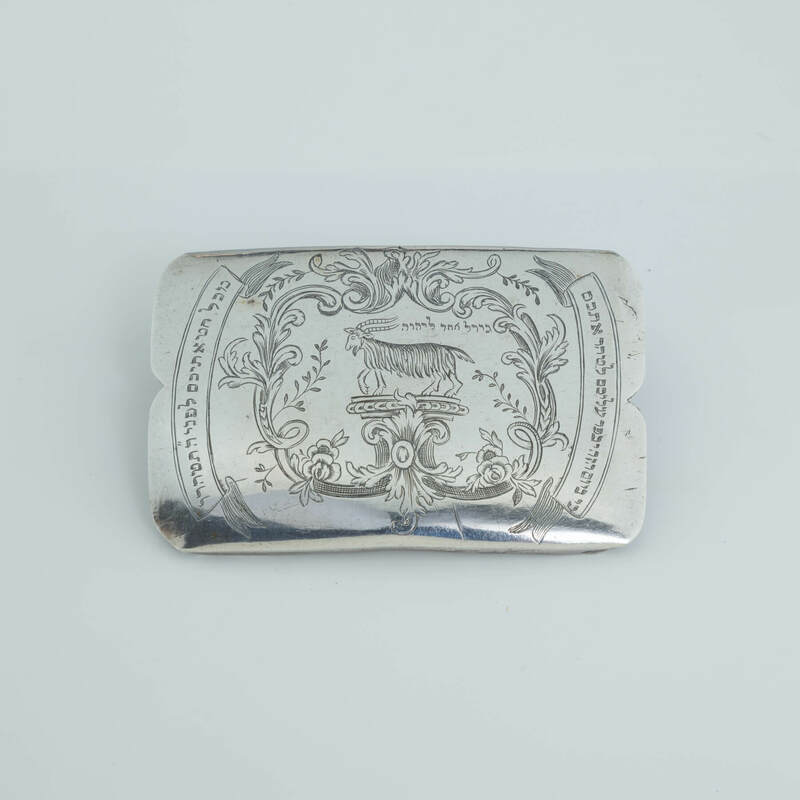 A SILVER YOM KIPPUR BELT BUCKLE. Poland or Ukraine, c. 1820. Rectangular. With central engraving of a sacrificial ram. Engraved in Hebrew with biblical passage related to the Yom Kippur holiday. 2.7” long.